It is estimated that it costs a company approximately 1.5-3 times that of the employee’s salary to hire a new team member on their own. Taking into consideration advertisement costs, man hours spent creating job descriptions and ads, filtering resumes, interviewing, and man hours spent on training. Staffing First places all ads; we accept and review all applications; we perform employee screening and interviews; we perform knowledge testing; we do reference checks; – so you don’t have to! Direct Hire First, we will team up with you to learn what you are looking for in an ideal employee. We will then take advantage of the many resources we have to aggressively recruit for your staffing needs. We will advertise the position, utilize our resources and networks to recruit, manage the applications, and screen, test and interview applicants so you choose from only the best candidates. There is a one-time placement fee. Most direct hire placements are guaranteed for 90 days. Temporary / Short-Term Staffing Even though you may have a temporary need, we don’t “just” want to place someone in your office who is qualified. Our goal is to find the most qualified temporary employees with the right fit for your office so the job gets done right the first time. Each temporary employee is on our payroll so all you have to do is benefit from the work being accomplished by each temporary employee placed in your office. 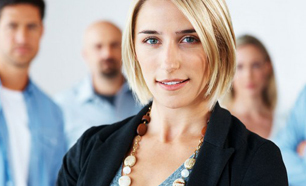 Utilize the employee for as long as you like without any obligation to continue employment. Temp to Hire Positions begin as temporary employment with the expectation of full-time placement after a pre-defined time.